2018 Russell Peace Lecture: What Hath Trump Wrought? How was Donald Trump able to win the American presidency? What does his election signify? On Saturday, September 22, join Dr. Andrew Bacevich, Professor Emeritus of International Relations and History at Boston University, as he discusses these questions and more during his talk “What Hath Trump Wrought,” the 2018 Bertrand Russell Peace Lecture. *The event is free and open to the public. The lecture will be followed by a Q&A session and preceded by an informal reception in the L.R. Wilson building, beginning at 6:00 PM. Light refreshments will be provided. 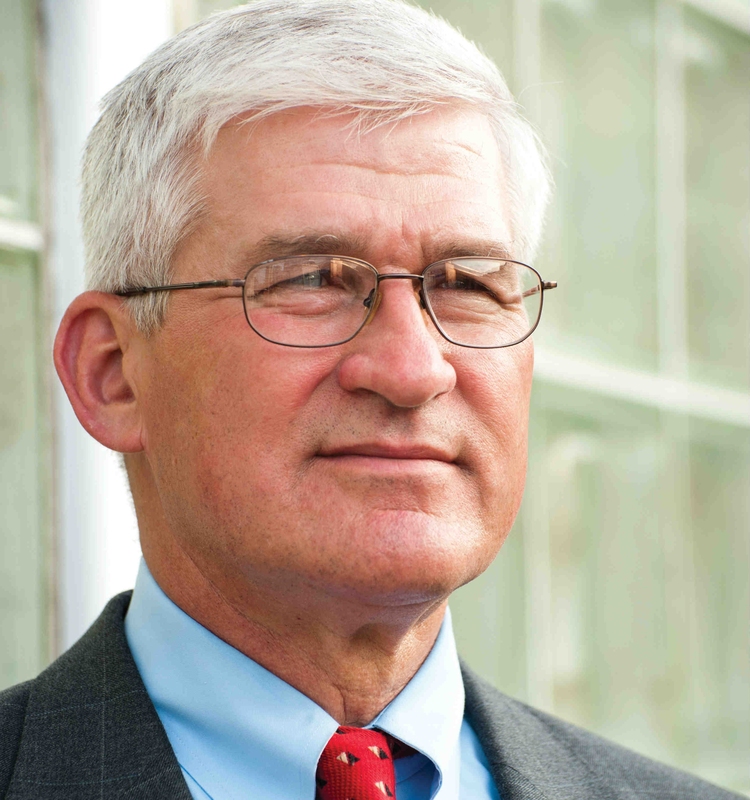 Dr. Andrew Bacevich, Professor Emeritus of International Relations and History at Boston University, will give the 2018 Bertrand Russell Peace Lecture. 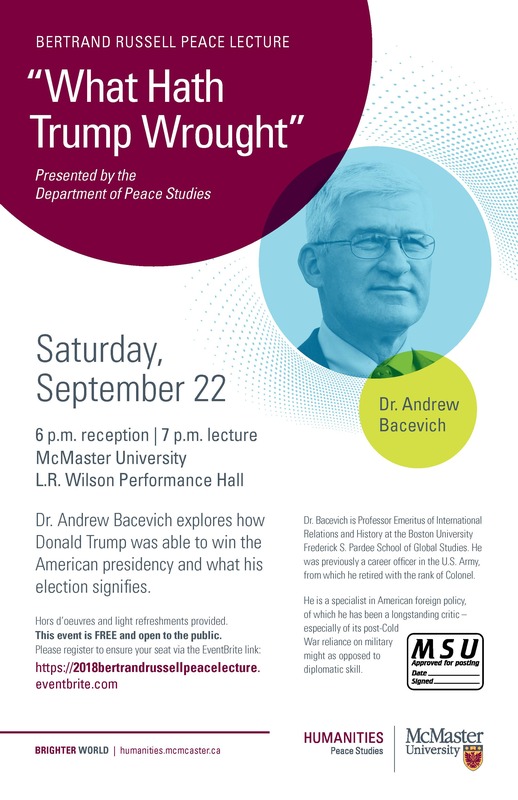 On Friday, September 21, International Peace Day, Dr. Bacevich will also be participating with McMaster faculty in a panel discussion of current prospects for peace (Chester New Hall 103, 1:30-3:00 PM). Dr. Bacevich is Professor Emeritus of International Relations and History at the Boston University Frederick S. Pardee School of Global Studies. He was previously a career officer in the U.S. Army, from which he retired with the rank of Colonel. The Bertrand Russell Peace Lecture is an annual speaker series sponsored by McMaster’s Centre for Peace Studies. The series, which began in 1985, focuses on issues related to the maintenance of world peace based on respect for human rights, democracy and justice.